Will Roland (center) with the cast of "Be More Chill"
Upgrade! Joe Iconis and Joe Tracz's fan-favorite musical Be More Chill officially begins its Broadway run at the Lyceum Theatre on February 13. Arriving direct from a sold-out off-Broadway engagement, the musical will officially open on Broadway on March 10. Will Roland and Jason Tam star. Based on the novel by Ned Vizzini, Be More Chill is the story of Jeremy Heere (Roland), your average, nothing-special teenager at Middleborough High in nothing-special New Jersey. That is, until the day he finds out about "The Squip" (Tam). Thus begins a journey that pits Jeremy's desire to be popular against his struggle to remain true to his authentic self. The cast also includes Broadway.com vlogger George Salazar as Michael, Gerard Canonico as Rich, Katlyn Carlson as Chloe, Stephanie Hsu as Christine, Lauren Marcus as Brooke, Jason SweetTooth Williams as Jeremy's Dad/Mr. Reyes, Tiffany Mann as Jenna and Britton Smith as Jake. The company's understudies are Cameron Bond, Anthony Chatmon II, Morgan Siobhan Green, Troy Iwata, Talia Suskauer and Joel Waggoner. 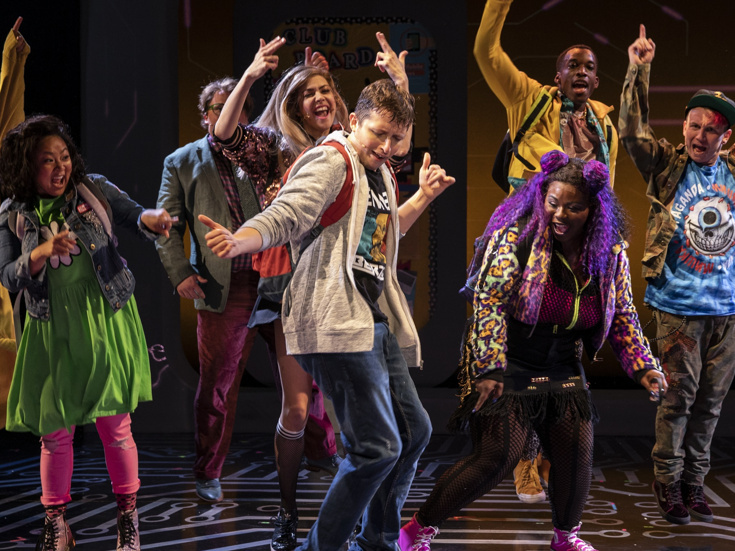 Be More Chill features a book by Tracz and a score by Iconis, with direction by Stephen Brackett, choreography by Chase Brock and musical direction by Emily Marshall. The production features scenic design by Beowulf Boritt, costume design by Bobby Frederick Tilley II, lighting design by Tyler Micoleau, sound design by Ryan Rumery and orchestrations by Charlie Rosen.